What a fun afternoon! 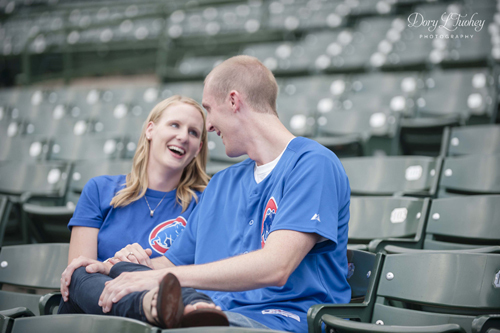 Ryan and Meredith are obvious Cubs fans(Go Cubs!) 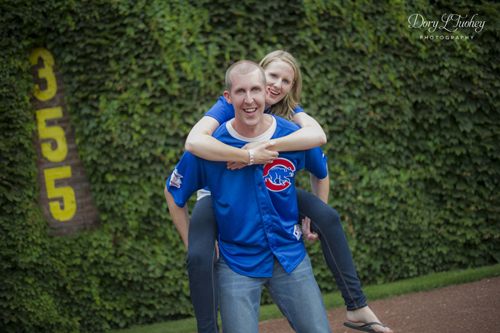 so what better place to take engagement photos than at Wrigley! 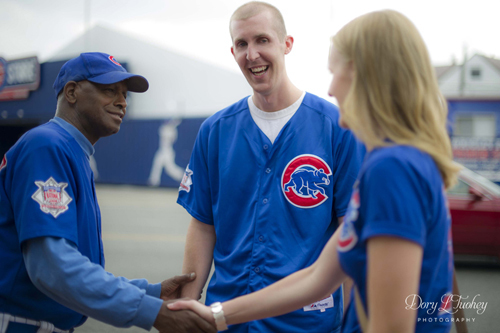 We started off by meeting Ronnie Woo-Woo. We then headed in and pretty much had the park to ourselves. R&M were such a fun couple. 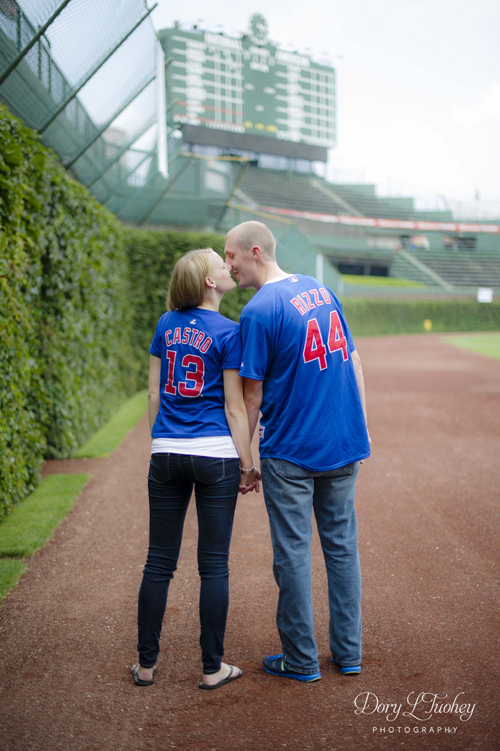 We had all kinds of laughs mixed in with some smooching in the dugout. 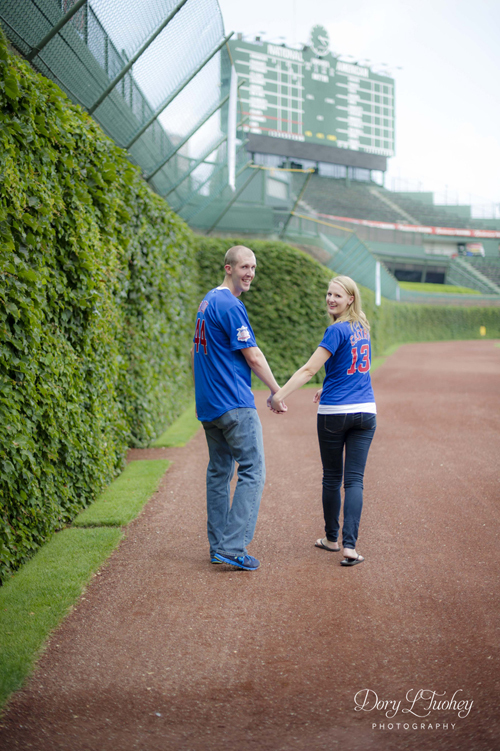 We even got to break the rules and walk out to the ivy walls of the outfield. 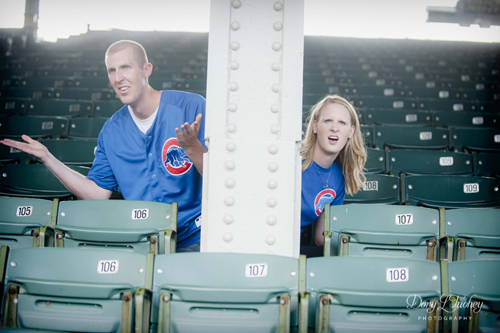 They no longer let people do this but our tour guide was awesome and let us sneak a few. 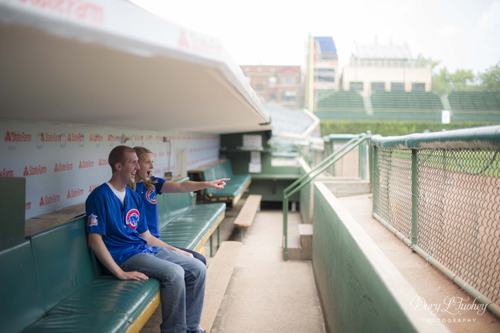 And for anyone interested, there is a fee to take photos inside Wrigley, but it goes straight to the Chicago Cub Charities which is awesome. 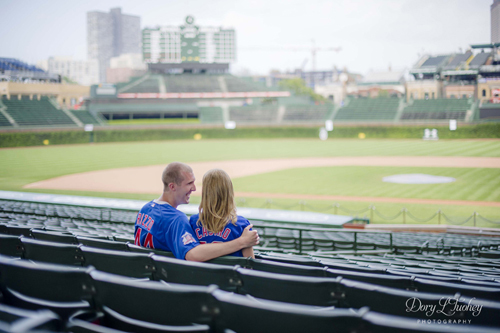 Please contact me if you would like more information on taking photos inside Wrigley. 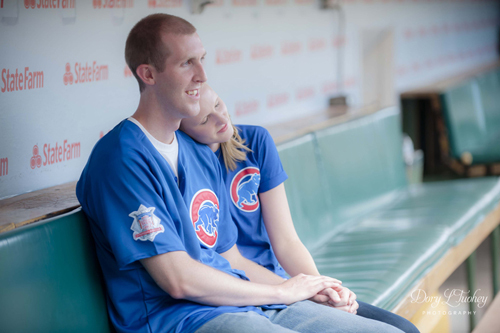 haha... the pain of being seated behind the pole!